Home How To Determine The Life Expectancy Of A Car Battery? How To Determine The Life Expectancy Of A Car Battery? A car battery is the prime part of an automobile. It is an essential part that starts the engine of a car. Moreover, it plays a significant role in stabilizing, filtering, giving power for ignition, electrical lighting, and other car accessories. People always ask that what is the average of a car battery life? The answer is usually around four to six years. And sometimes, car battery does not last longer than your expectation. Anyhow, there are still ways that can help in increasing the life expectancy of a car battery. Owning a car isolates you from the hassle of traveling. But just like pets, cars require proper care and maintenance. And car battery is one of the most vital parts that you should keep an eye. 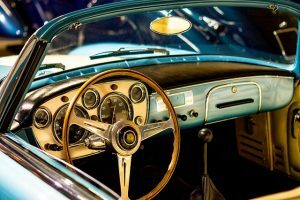 Several reasons can affect the battery life of your cars such as the weather, extreme temperature, too many short drives, electrical gadgets, corrosion, and battery age. • Weather – The weather can indeed affect your car battery. In cold weather, car battery problems may arise just like in hot weather. Cold weathers may cause the battery to die because at zero degrees, car batteries losses 60 percent of its strength. It can thick up all the oil inside the battery, which makes it require more juice. While the excessive heat of hot weather can accelerate the chemical operation of the battery itself, which causes the battery fluid to evaporate. • Extreme Temperature – Warm and Hot temperature takes a toll on battery life. Higher temperature can significantly reduce the battery life as well as lower temperatures. Most recommend a battery temperature range of 65 – 90 degrees. • Short trips – Short trips prevent your battery from fully charging, and your battery might end up drained. As a result, your car battery will undergo a process known as Sulfation. Battery Sulfation happens because the alternator doesn’t have enough time to fully recharge the battery. • Electrical Gadgets – Using electrical gadgets when the battery is not yet fully recharged can quickly drain the battery. 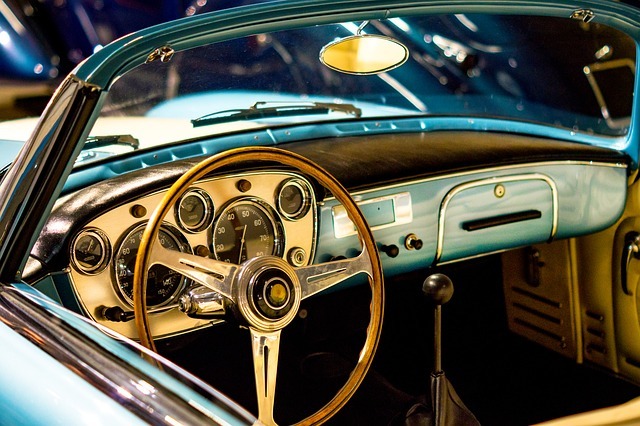 The car battery supplies power for headlights, dome lights, audio system, and more. Accidentally leaving your headlights on can wear your battery down. • Corrosion – Corrosions may build up on your car battery’s terminal over time which may cause the battery not to function properly. A dirty battery corrodes faster than a clean battery. Dirt from the battery can act as a conductor that makes your battery’s juice deplete faster than usual. • Battery Age – As your car battery ages, it loses strength. Just like our body, car batteries also show symptoms and signs of a problem before they die. If your car battery becomes inefficient, that apparently means replacement. Just like any battery, your car battery gradually deteriorates over the time. A car battery life’s span works typically after four or five years. But as time goes by, changing or replacing a battery is inevitable. But how will you know if you have to replace your car’s battery? • Slow engine crank – Car takes longer to start than normal and shows sluggish cranking of the engine. • Swelling or Bloating of Battery Case – Battery case is swelling due to excessive heat. Swelling of battery case may result in an electrically dead battery which will require replacement. • Battery leak – Leaking battery may cause corrosion. • Weird Smell – If a battery has been frozen, overcharged or shorted internally it may vent gas which often smells like a rotten egg. • Dim Headlights – Sometimes, the car emits faint light that may be caused by your car battery. Your lights may be dim because they aren’t getting the power they needed. • Car won’t start unless you give it gas – This is a sign that your car battery is about to die. You should buy a replacement immediately. • Starts fine but stops the very next instant – This may be a sign that either the battery has loose or broken terminals. But if the terminals and cables are working correctly, then perhaps it is time for battery replacement. Proper car battery care can increase the lifespan of your car battery. But every car battery has a limit and having a battery replacement can sometimes be a nuisance. So, we are giving tips below on how you can prolong your car battery’s Calendar Life. Or you can go visit at https://howtoreconditionbatteries.org/car-battery/ to lean how to recondition a car battery. • Charging your battery – Charging your car battery contributes to your car battery’s life. However, fast charging of batteries may lead to overcharging which may create permanent damage. Make sure to full-charge your battery at least once a week. • Inspect the battery regularly – Inspect your battery from dirt and corrosion. Use products that help clear dirt and junks from the battery. Keeping your battery away from dirt build-up will extend your vehicle’s battery. You can scrub the terminals using a toothbrush dipped in baking soda and water mixture. Then spray it with cold water using a spray bottle and rinse the mixture off and finally, dry it with a cloth. • Check the car’s electrical system – Look for faulty alternators and components that secretly drain your car battery. • Test your battery often – To keep track of your battery, test your battery’s output voltage level using a car battery tester. • Don’t use Electronics when Idle – Do not use the radio or air conditioner when the engine is off as it can wear a battery down. • Insulate the Battery – Installing an insulating sleeve on the battery helps it avoid extreme heat and cold in check. Insulating sleeve helps to keep the battery away from overheating. • Cut down gadget use – Unplug all car phones, MP3 players, GPS receivers, chargers, and other car accessories when not in use. Do not plug them all at once. • Check if the battery is secure – Check if your battery is secured to avoid battery short circuits. • Check the batteries water level – Always check the battery’s water level indicator and refill the battery with distilled water only. A discharged battery can be recharged, however, if you’re experiencing battery problems it is wiser to replace your car battery. After all, a newer battery supplies more power to the engine and a brand-new battery means a higher life expectancy of a car battery though you must keep in mind that buying and picking up the right car battery for your automobile is indeed a fuss. Different cars use different types of battery. However, installing wrong battery may affect the electrical system of your car. So, if you’re thinking about buying a replacement battery then you have to consider the battery type, physical size, terminal configuration, cold cranking amps, and amp-hour rating. 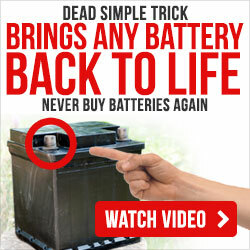 Return to the homepage to learn about the recondition any battery you want to use again!